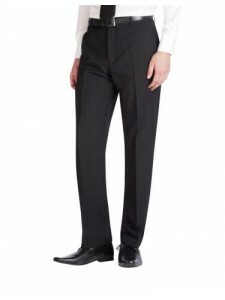 A collection of black trousers, waistcoats and skirts. Ideal for the demanding environments of hospitality, facilities management and service sectors. 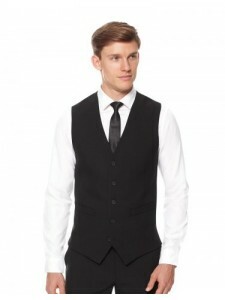 It is designed to look good day in, day out, wash after wash. This fabric is currently worn by 1,000’s of people everyday; it is truly tried and tested. 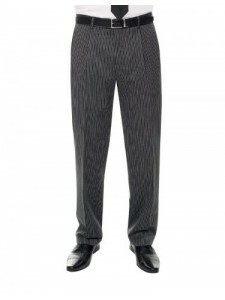 Mens Trousers Sizes 28-50 Short, Regular, Long and Unfinished Colours - Na..
WIMBLEDON WAISTCOAT• 4 Button fastening • Lining back with back strap and buckle• 100% Pol.. OVAL WAISTCOAT•5 Button fastening • Lining back with back strap and buckle• 100% Polyester..
ASCOT TROUSER• Front fastening • Slim leg • Curved comfort style pockets • Key loop •..
OLYMPIA TROUSER• Flat front • French bearer-belt loops • 2 Hip pockets with key loop• Mach..
GROSVENOR SKIRT• Pencil Skirt • Rear centre back vent • Key loop • Machine washable • 100%..